Pewter Report states that the Buccaneers are “not enthusiastic” about bringing back free agent RB Cadillac Williams. Running back Cadillac Williams, 29, is entering unrestricted free agency after playing his sixth NFL season. The 5-foot-11, 217-pound Williams was a first-round pick, fifth overall, of the Buccaneers in the 2005 NFL Draft. Williams started the first nine games of the season before leaving the starting lineup due to ineffectiveness. Some with the Bucs feel that Williams has one more good season left in him as a third-down back. ? 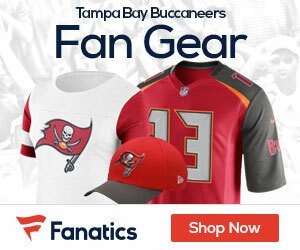 ?In the Bucs’ pre-draft meetings, general manager Mark Dominik and head coach Raheem Morris were said to not be enthusiastic about bringing back Williams.